HERTALAN® approved contractor Lee Evans of ‪‎OrganicRoofs‬ won the award for best green roof at the UK Roofing Awards for his boat house project at Avon Tyrrell waterproofed with a HERTALAN Roofing System. 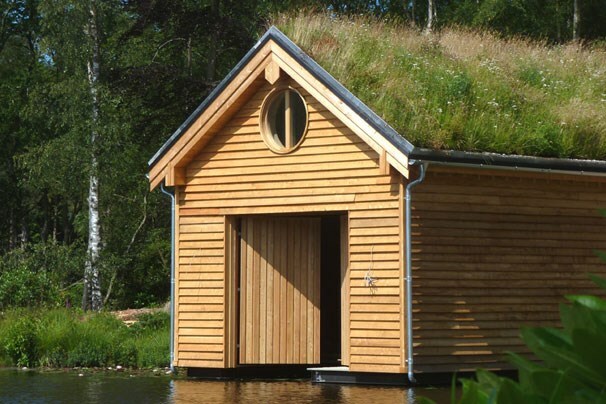 The Boathouse, designed by HPW Architecture and covered with HERTALAN EPDM is a timber clad eco-friendly building which features a beautiful 200m2 green pitched living roof in the environmentally sensitive context of a lakeside setting. The design includes hybrid solar photovoltaic panels to provide improved facilities for young people and accessibility to those with disabilities. 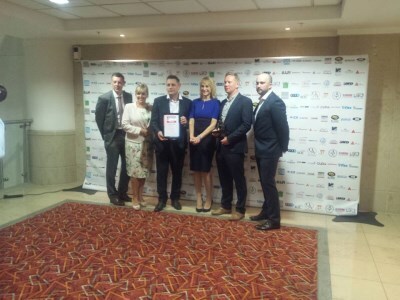 The award was presented by popular television presenter Louise Minchin and members of the CCM UK team took advantage of the photo opportunities with Lee and Louise! The competition, covering the full spectrum of 12 roofing disciplines, runs from September to January every year and thereafter a selection of projects are short-listed. In May, at The UK Roofing Awards Congress Luncheon, the winners are announced. A range of criteria are taken into consideration by the judging panel including: degree of difficulty, aesthetics, problem-solving, Health & Safety, workmanship and environmental qualities.